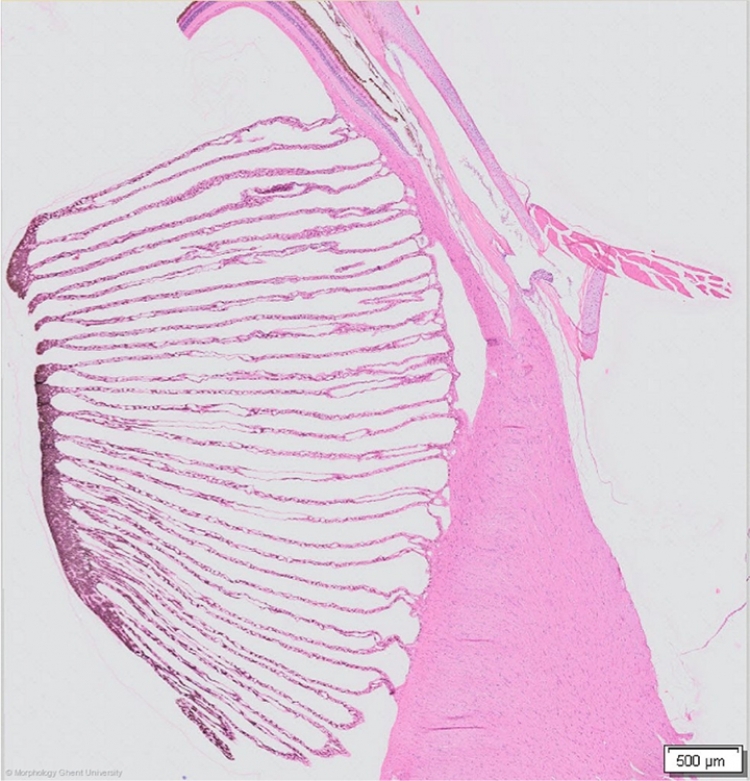 The pecten oculi is a vascular structure, found exclusively in the avian eye. It is attached to the optic disc and projects into the vitreous body. The whole structure of the pecten is broadest at its base, giving it a trapezoid or comb like appearance. Morphologically the pecten can be subdivided in three types: the pleated type of most birds (pecten oculi plicatus), the vaned type of the ostrich (pecten oculi vanellus) and the conical type of the kiwi (pecten oculi conicus). There has long been uncertainty about the function of the pecten but it is now believed to nourish the avascular retina and to regulate the pH of the vitreous body.